Hats off to Oliver Brown! With just 6 days to go until Royal Ascot the Oliver Brown top hats are quite literally flying off the shelves at the shop on Lower Sloane Street, with one customer purchasing a particularly large antique silk top hat for £12,000 (the larger the size the more rare and therefore expensive the price tag). We were also very excited to welcome Rory Bremner into the shop today. 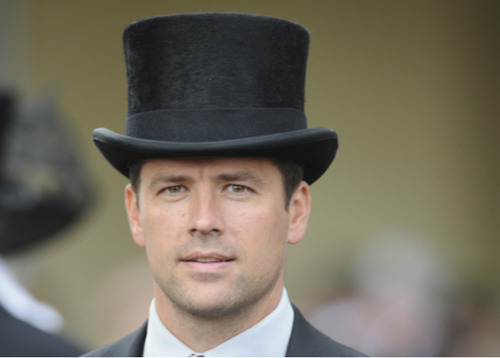 The comedy legend purchased an antique silk top hat which he will be wearing when he attends Royal Ascot next week. Bremner will join a long list of famous faces including footballer Michael Owen and Poppy Delevingne's husband James Cook, who look to Oliver Brown for their formal morning wear and top hats. If you need help and advice on what to wear at Royal Ascot take a look at this article on the GREY FOX BLOG to read top tips from Oliver Brown’s Creative Director Kristian Robson. To look at the extensive collection of antique silk top hats and their fur and felt counterparts, click here to visit the dedicated Top Hat website from Oliver Brown.